KH is a 9-year-old girl of Indian descent who came to Treehouse Eyes for myopia (nearsightedness) treatment in December 2016 and recently returned for her annual checkup. She started wearing glasses when she was five and has a family history of myopia. Her mother was concerned because KH’s vision was getting worse every year. Mom was determined not to let her daughter’s vision and wanted to do something. From a clinical perspective, I was particularly concerned that KH’s myopia would continue to worsen if it remained untreated. Higher myopia increases her risk of developing permanent diseases such as retinal detachment, glaucoma, or cataract. In my initial exam I found her to have a very high prescription, already -7 diopters in her left eye which left KH experiencing some eye strain in addition to poor vision. KH is an avid swimmer and really wanted to be free from glasses for her activities. After a comprehensive exam and consultation with KH and her family, I recommended a custom overnight contact lens option to slow or stop her myopic progression. KH wears these custom contact lenses like a retainer and they gently reshape the front surface of her eye while she sleeps. I design them to ideally stop her myopia from getting worse, and they have the added benefit of giving her good vision during the day without glasses or contact lenses. This news was exciting for both KH and her family so we started treatment immediately. On the first post-treatment day, KH’s unaided vision improved from 20/400 to 20/40 in the right eye and 20/60 in the left eye. KH was so excited that she was able to see well without glasses for the first time in years. After wearing the lenses overnight continuously with good compliance, her unaided vision reached 20/20 in approximately 6 weeks. The best news was that at her recent annual follow up exam, the physical lengths of her eyes measured compared to baseline have remained relatively stable. This means her myopia is not progressing as it would have if we didn’t start treatment. 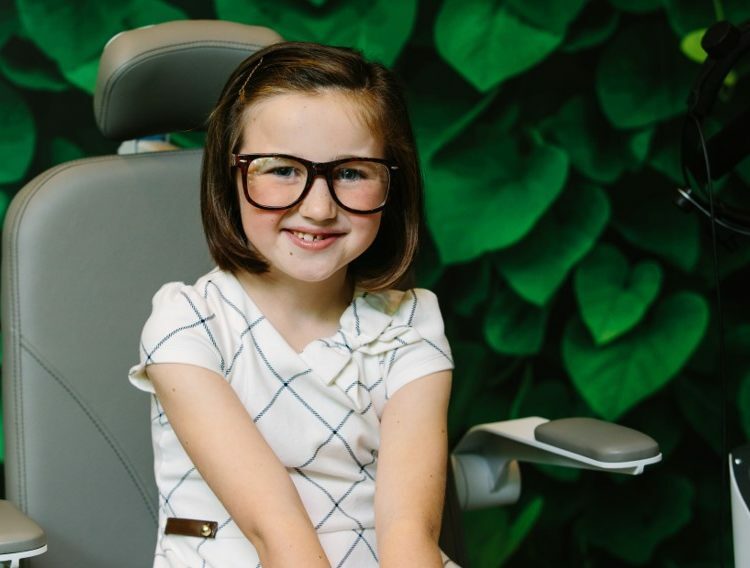 Her mother was thrilled that she made this important decision to help her daughter have better vision for life and achieve her best potential. 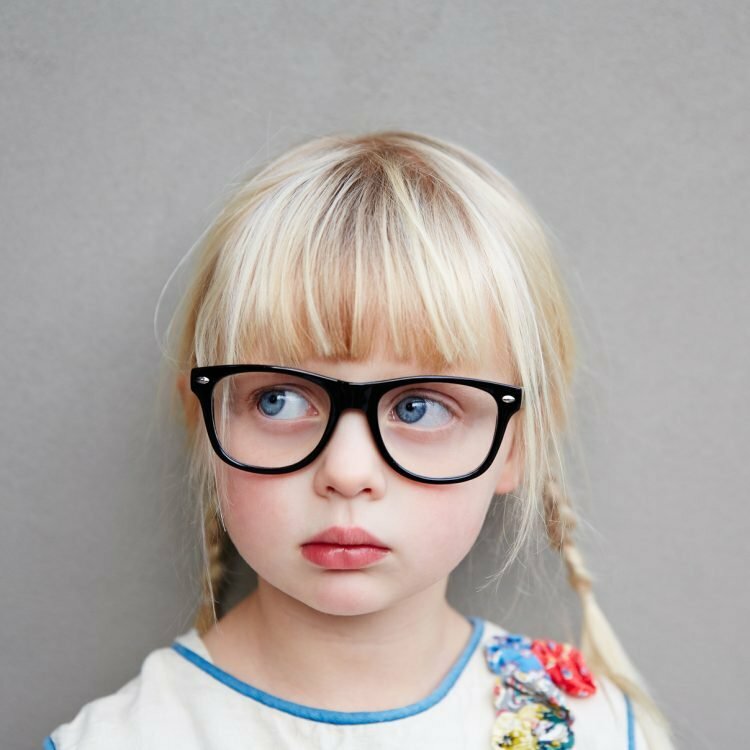 If your child’s vision continues to deteriorate there are now options besides just stronger glasses. Learn more at TreehouseEyes.com and schedule a complimentary evaluation, or call our Bethesda office at (240) 297-1017, or Tysons Corner office at (703) 991-2766.